No matter how much you fight them, the signs of aging will eventually start showing up on your face. If you are dealing with wrinkles, age spots and other skin issues, follow these tips to help treat some common signs of aging and improve the appearance and condition of your skin. As we age, our skin becomes more fragile and less elastic. The fat and connective tissue in the deep layers of the skin begin to diminish, causing loose skin and more-pronounced lines and wrinkles. In addition to age, exposure to ultraviolet light, smoking, poor nutrition and other factors can lead to wrinkles. A number of wrinkle treatments are available, including topical retinoids, alpha hydroxy creams and other over-the-counter and prescription remedies. Additionally, dermabrasion (and microdermabrasion), chemical peels, laser resurfacing, Botox and other injectables, and surgical face-lifts can reduce the appearance of wrinkles. Age spots are flat brown or brown-black spots that can appear on the skin as we get older. These spots are often called liver spots even though they have nothing to do with the liver. Age spots are common in people over 40 and usually occur in the areas that have had the most sun exposure — the face, arms, shoulders and backs of the hands. 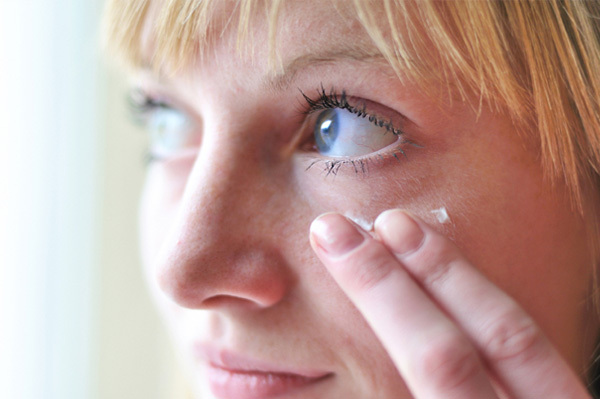 Medications and creams, which include bleaching agents and retinoids, are available to help fade age spots. Several sessions of laser therapy can also gradually fade the spots. The aforementioned dermabrasion, microdermabrasion and chemical peels can also help to remove the skin surface and eliminate age spots. As we get older, our skin loses its stores of collagen and elastin, causing it to become more saggy and loose. You can find a number of creams on the market to improve the firmness and elasticity of your skin, and vitamins may also help. When it comes to skin care products, look for ingredients such as retinol, neuropeptides and estrogen to encourage collagen production and make your skin appear firmer. The body utilizes vitamin C to form collagen and other tissues; therefore, it’s possible that increasing vitamin C intake may help to restore your skin’s elasticity. And, though not scientifically proven, the antioxidant properties of vitamin E may also help aging skin. Just be sure to take the correct dosage of the vitamins. Exceeding recommendations often can lead to other health problems. Our bodies’ decreased production of natural oils as we get older can cause dry skin. Dry skin can make wrinkles and fine lines appear even more pronounced. A number of factors can aggravate dry skin, making it worse. Avoid sun exposure and hot weather, as well as cold, dry, windy conditions. Indoor heating and cooling, bathing or showering in very hot water, smoking cigarettes and using harsh soaps can all irritate the skin and make dry skin even worse. To combat dry skin, stop smoking, get enough sleep, exercise regularly, drink plenty of water, and eat a diet rich in omega-3 fatty acids. Treat dry skin witha a moisturizing cream twice a day. Look for creams and other skin care products that are rich in alpha hydroxy acids, antioxidants, emollients and humectants. Moms who Botox: Fabulous or frozen?